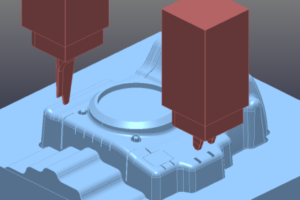 Surface modeling commands specialized for mold & die extract fast product model into mold model fast. 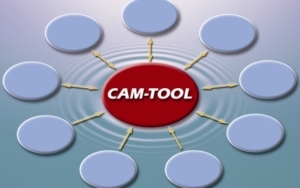 It also enables reliable CAM calculation even with an imported data from any CAD. 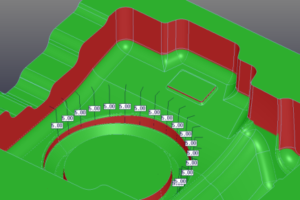 Display of different radius of shape in different colors and values help to select the tool. 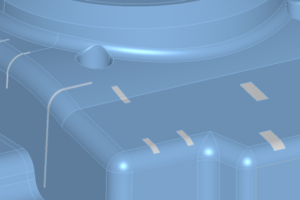 Verifies imported surface, and detects & revises defective surfaces automatically. It’s possible possible to create surfaces easily to fill the hole made of multiple surfaces. It extracts electrode shape from working model, and has a wide variety of functions like “Fill in blank”, “Fluctuation offset”, “Interference check”, “Process sheet” and etc. EPX format also can be output. High quality translation for most famous native CAD systems. 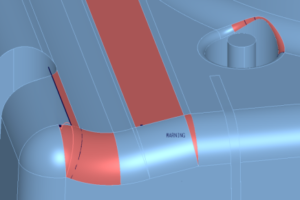 Reliable data translation from other CAD systems supports a smooth translation for modeling work.